Are Your Finances Ready for Fall? Summer has come and gone and school is officially back in session. Fall provides an opportunity for you to get things organized and ready for the upcoming winter and holiday seasons. Below you’ll find some suggestions to keep your finances in balance this fall. Fall Home Improvements: Fall is the perfect time to use a home equity loan to finally tackle those large home improvement projects before the winter weather hits. From a new roof to new windows, a home equity loan can solve your home improvement needs while not bloating your budget. Around the House Maintenance: Even if you’re not looking at a large home improvement project, little things like caulking and weather stripping your doors and windows can make a big difference in the long run. With the change in weather you may want to dial back the thermostat when you’re not home during the day. Investing in a smart and programmable thermostat can help reduce your monthly energy bill. Other around the house fall projects include cleaning out your gutters and downspouts, cleaning and sealing your deck, and storing or covering of any outdoor furniture you may have out. Review Your Rates: With interest rates remaining low, it may be worth looking into refinancing one or more of your current loans. From your auto loan to your mortgage, refinancing could help lower your rate and save you hundreds, even thousands of dollars over the lifetime of your loan. You could also look into a low-rate personal loan to help you consolidate high-interest rate debt from other lenders. Holiday Preparation: Now is the perfect time to start planning your holiday budget. Think about how much you’ll need for gifts, travel, parties, food and entertaining. The fall season can provide a number of great sales and deals as stores are working to clear shelf space for the upcoming seasons. See something on sale that might be a great Christmas gift? Buy it now. Planning ahead can ultimately ease the stress that comes with the holiday season. Spend those Flex Dollars: You’ve been contributing to your account all year, the last thing you want to do is let those dollars go to waste! If you’ve been eyeing a new pair of glasses or need to stop in for a wellness check with your doctor, schedule those appointments now before that money in your flex spending account expires. Are You and Your Family Protected? Investing into your family’s financial security and wellness is crucial. Whether it’s emergency savings account or a college savings- planning ahead can relieve them of some financial burdens down the road. Additionally, having proper insurance coverage can reduce or eliminate the financial risks of losing a loved one. It can also be worth shopping around to see if you’re getting the best deal. Review 2018 Finances & Plan Ahead: Take a look at your budget and your financial plan for 2018. Are you on target to meet your goals? Were you hit with major unexpected expenses? How is your emergency savings stacking up? Schedule an appointment with our wealth management specialist or one of our member advisors to review your finances to make sure you are on the right track for 2019. 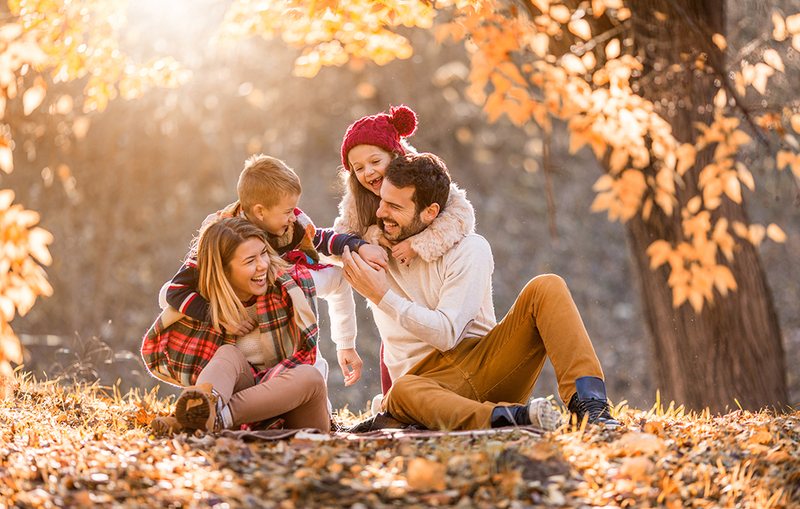 This fall, be sure to take the time to review your finances, clean up around the house and ensure both your home and finances are in great shape as the fall and winter seasons approach. See how we've helped our members improve the health of their financial lives through debt consolidation and more!